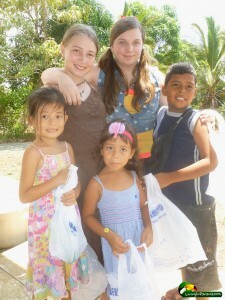 My now 15 year old daughter & friends when we were using cement at our own house. 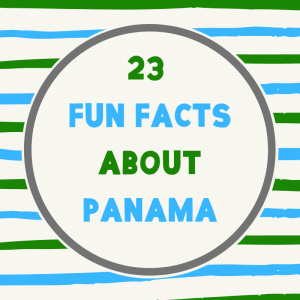 Most housing in Panama is made of cement, cement block and a zinc roof. By using those simple building materials you get a sturdy house that is impervious to bugs, mildew, or fire. 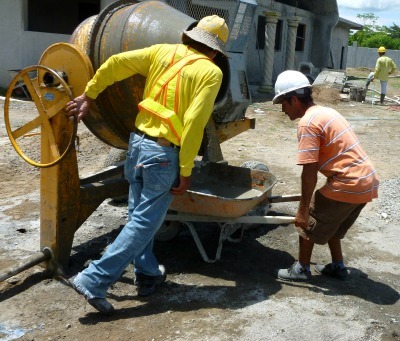 Which is why cement is the typical building material of all of Latin America. 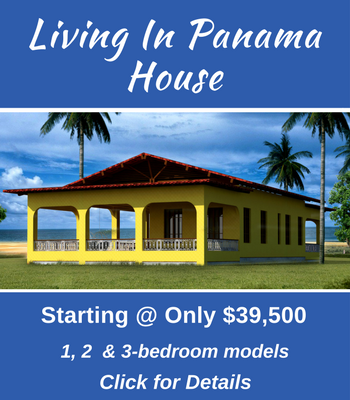 It is also what we use as the primary construction material for our Living in Panama House. It is wise to keep your construction project within the comfort zone of the local workers. 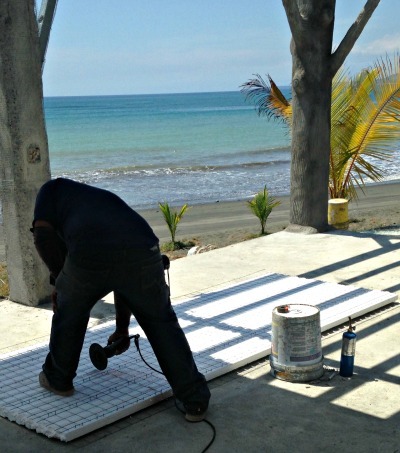 Builders in Panama are most comfortable working with concrete. 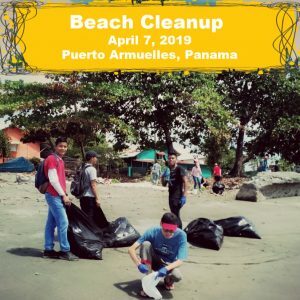 Think of Panama as a small town of 100 years ago, where folks are used to doing things the same way, generation after generation. 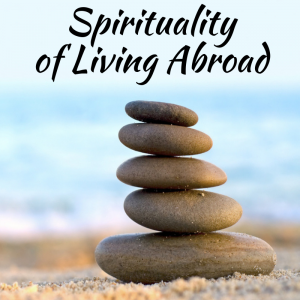 Of course, they can learn new ways, but it won’t be a fast, easy, or necessarily successful process. Concrete block is the most common method of construction. It is usually reinforced with steel rebar and the hollow cells in the blocks are filled with a concrete slurry. 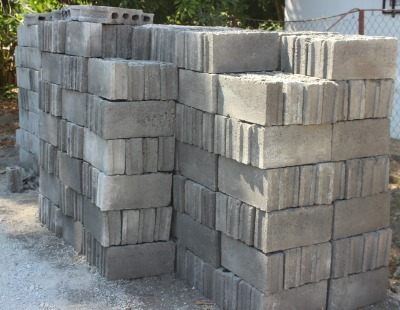 Standard concrete blocks are 16” long and are available in 4” and 6” thicknesses. Half blocks may be purchased to maintain the overlapping rhythm of the block structure. Block may easily be cut with a grinder, or scored and broken to size. 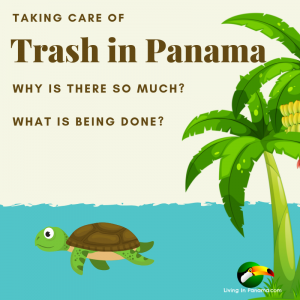 (This is the most common method both in Panama and in North America). As I mention in another article on hardware stores, the quality of block available in Puerto Armuelles varies greatly from supplier to supplier, and even between batches from the same supplier. You need to inspect each shipment, and even every block. Some blocks literally fall apart in your hands, while others are perfectly adequate, especially if you use plenty of steel reinforcement, and fill all cells with concrete. 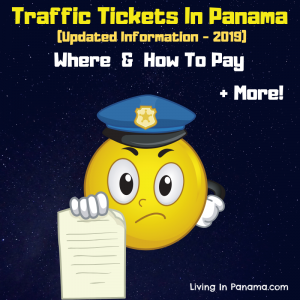 Please note: No block that I have encountered in Panama is of the high quality that one would encounter at a typical home center, or concrete supplier in the States or Canada. 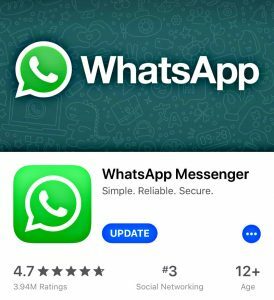 However, I believe that in the very near future, as with everything else in Panama, the quality of local block will rise to the level of that in North America. 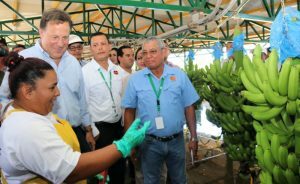 The growth rate and improvements in quality in Panama are like nothing I have seen anywhere in my lifetime. 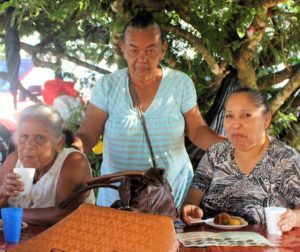 The pace of growth and modernization in Panama is truly astounding. Our best block supplier has agreed to provide custom blocks using a higher ratio of cement to aggregates than his standard block. He will make it your specifications. In other words, we can start getting that higher North American- quality block in Puerto Armuelles today. primarily for interior and exterior walls and sometimes for flooring or the roof. 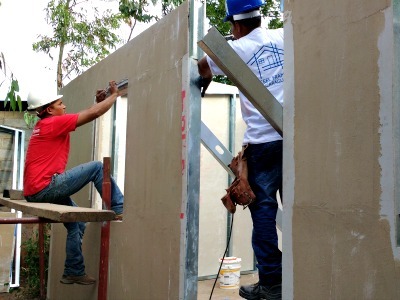 M2 is used in place of concrete blocks, but must be “stucco coated” or “repello” with concrete. M2 is increasingly popular and allows building to go up very quickly. 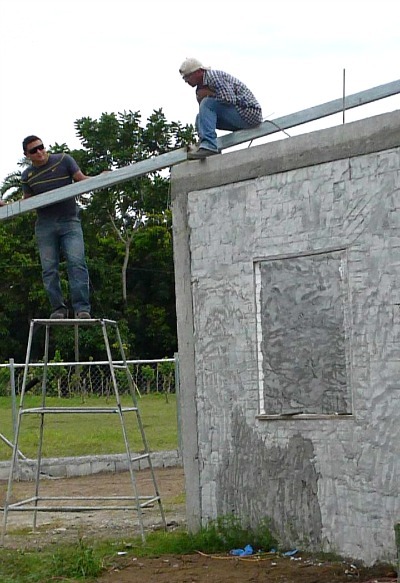 Some people import higher quality M2 panels than are available in Panama. But most are successful using the locally available M2 panels. M2 panels come in different thickness. Ideally, you should use panels at least 4 inches thick. Panels thinner than 4 inches have a tendency to buckle and are not load bearing. Plycem is a fiber cement board widely used to replace wood siding, plywood, tile base in showers, and, at times, sheetrock. It can be cut, sanded, nailed, rough dressed, drilled and screwed with conventional woodworking tools. There is a similar product to Plycem available in the States. It is called Hardiboard. Accepts a wide variety of finishes. Plycem is designed to be screwed into wood or steel studs and floor joists. 3/4 or 1″ Plycem can even replace plywood floors, when placed on closely spaced floor framing using steel studs or wood. 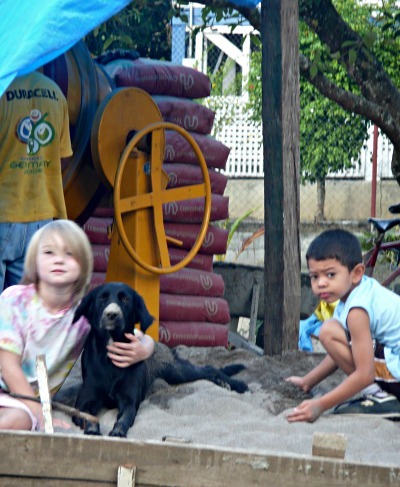 In our own house, we have used Plycem as the base for a tiled kitchen floor as well as for the floor and walls of our bathrooms. 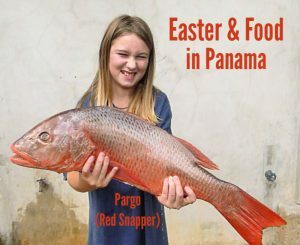 If you have any tips or experiences about building with concrete in Panama. please share them below. 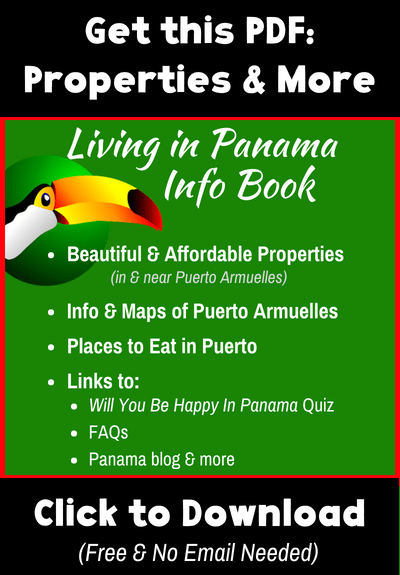 In another post, I pose 6 questions to consider before you select your home building materials in Panama.